I’ve got three paintings hanging for all of October in the Bristol Art Prize exhibition at the Guildhall Arts Centre, Small Street. The prize evening was last Friday and special congratulations to Roger Conlon for winning two prizes with his fantastic plein air work. I was pleased with my work until I saw his uploaded on the site! He’s also very friendly and supportive and his site even offers painting advice, take a look. Here’s one of my pieces anyhow, “Water under Pero’s Bridge”, I’ve a couple of plein air paintings in the exhibition too, I painted this one back at home. I thought about the colours before beginning the painting which isn’t always the case for me, and settled on a limited palette of a blue primary and the two adjacent secondary colours of green and violet but painted over a complementary orange base colour. See my last post for details of the CRUSE Heartfelt Art Exhibition which is also running in Bristol this week. 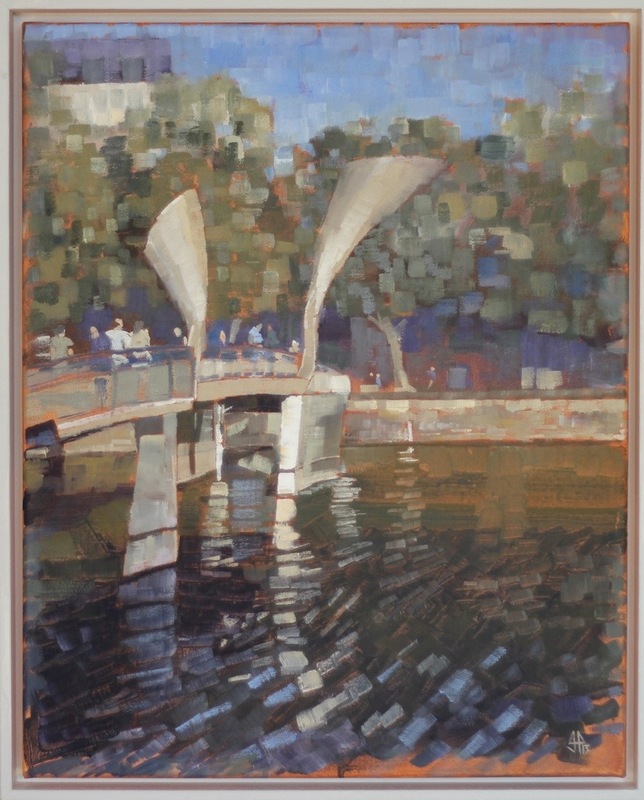 This entry was posted in exhibiting and tagged bristol, Exhibiting, plein air by ianpriceart. Bookmark the permalink.